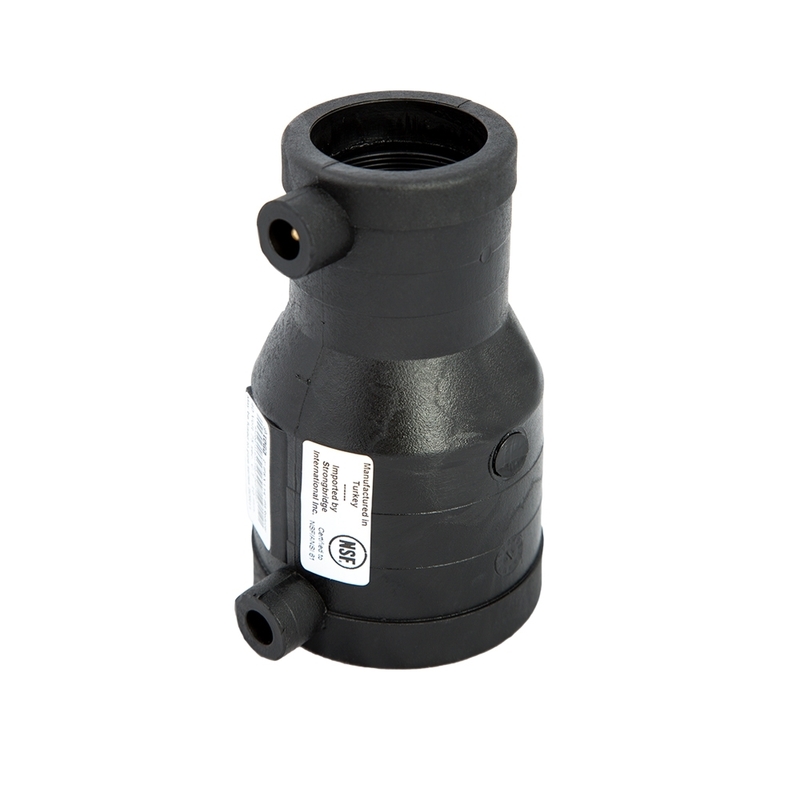 Electrofusion fittings is a leak free solution fusion. Replace PVC or stainless steel reducers. System for aerial or bured tubing. Ultra quick installation of connectors and installation of connectors without cutting the tubing. ELECTRO REDUCER 1" X 3/4"
ELECTRO REDUCER 1 1/2" X 1"
ELECTRO REDUCER 1-1/2" X 1-1/4"
ELECTRO REDUCER 2" X 1"
ELECTRO REDUCER 2" X 1-1/2"
ELECTRO REDUCER 2" X 1-1/4"
ELECTRO REDUCER 3" X 2"
ELECTRO REDUCER 4" X 2"
ELECTRO REDUCER 4" X 3"